Studio portrait of 2349 Private Walter Rudolph Christianson, 20th Battalion, of Balmain, NSW. 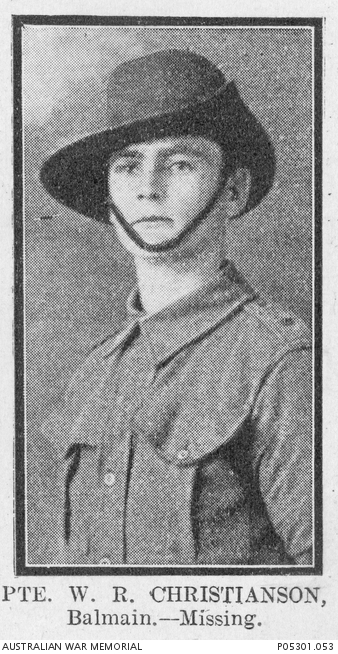 A fitter’s assistant at the government tramways prior to enlisting on 31 July 1915, he embarked from Sydney, NSW, aboard HMAT Ballarat on 6 September 1915. He was killed in action in France on 26 July 1916, aged 22.